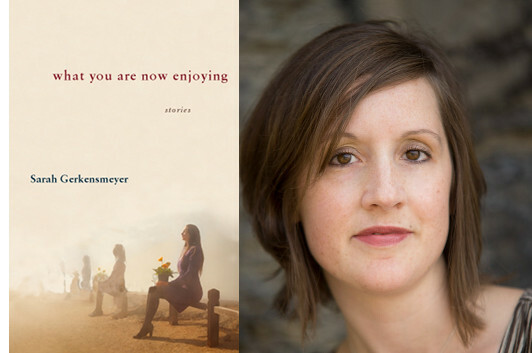 Many of the stories in Sarah Gerkensmeyer’s What You Are Now Enjoying, like “Dear John,” unfold with a dreamlike logic; even a story like “My Husband’s House,” which seems relatively grounded, has a hallucinatory quality to it—we wander through in a bit of a daze, much like her protagonists. Yet the “surreal slant” in her fiction “has been somewhat of a mystery for me,” she told an interviewer; maybe, as she theorized, it has something to do with her midwestern routes: “There is magic and mystery there. Something like heat lightning, I guess. Or crouching beneath a utility sink in the basement while a tornado roars by like a train. There is a sense of the unexpected creeping up out of the familiar and the ordinary and the mundane. I think I try to encapsulate that same aesthetic in my own work.” And, as you’ll see, when she finds examples of that aesthetic in other people’s stories, it stays with her. New Yorkers will be able to see for themselves when Gerkensmeyer comes to read at Pen Parentis on April 9, 2013. 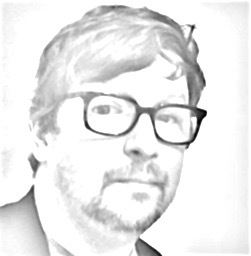 In a red river: a small child drowning, tugged below the surface by a swift current—a piggish man in pursuit. On a train: a mother righting her baby daughter in her seat after she’s toppled over—a white-haired stranger with a cigar hovering above them, grinning. In a restaurant in Moscow: a starving boy pulled in from the street and offered oysters—the salty, slimy crunch when he bites into the shell. It’s the images that haunt me most. The red water and the piggish man in Flannery O’Connor’s “The River;” the toppled-over baby in Shirley Jackson’s “The Witch;” the moldy crunch of teeth against oyster shell in Anton Chekhov’s “Oysters.” And when I come back to these stories years later and come face-to-face with the exact, horrible context of each of them once again, the bigger picture is haunting, too, of course. In “The River,” a little boy who has sudden, skewed ideas about religion drowns as he tries desperately to baptize himself. In “The Witch,” a stranger on a train tells a young boy a horribly inappropriate story about how he also had a little baby sister and he strangled her and chopped her up into pieces. In “Oysters,” a starving boy with a sick father is pulled off of the streets of Moscow and into a fancy restaurant, where he is offered oysters as a joke.) But that’s the whole story, something I usually forget relatively soon after I’ve set a book down. It’s the images I carry with me. It’s the images, I think, that push me to write my own stories. 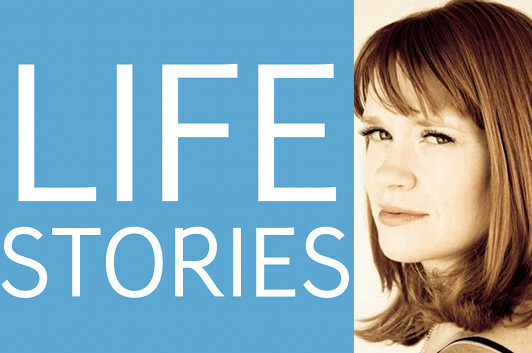 In this episode of Life Stories, the podcast series where I interview memoir writers about their lives and the art of writing memoir, I chat with Emily Rapp about The Still Point of the Turning World, an account of parenting a son diagnosed with Tay-Sachs disease at nine months. Rapp talks about how the diagnosis for this rare degenerative disorder came as a complete shock—she’d actually been tested to determine if she was a carrier and had been all but cleared—and the solace she got from other parents facing the same situation. She also describes how writing about life with Ronan as they were living it helped not just to bring her back from the edge of despair, but showed her the possibility of living without holding herself back. Listen to Life Stories #27: Emily Rapp (MP3 file); or download the file by right-clicking (Mac users, option-click).